There are two methods of borrowing against the equity in a property: securing a home equity loan(HEL) and opening a home equity line of credit(HELOC). These loan transactions are referred to as second mortgages, as they give you access to additional funds by utilizing a home or real estate property as collateral. Home equity loans and home equity lines of credit have a shorter duration than standard mortgages, and often with less funding than the full value of the home. While these second mortgages must typically be paid off within 15 years or less, borrowers can sometimes secure these loans with longer terms. 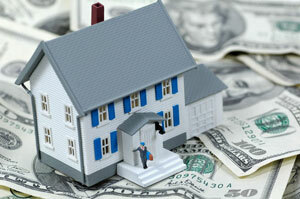 By definition, a home equity loan is a consumer loan that is secured by a second mortgage. The amount of the loan depends on the difference between the homeowners’ owned equity and the current market value of the home, though borrowers are limited to 85% of the home’s current equity. Borrowers who secure a home equity loan will receive a lump sum of funds and must then repay this loan through monthly payments over the course of several years. As with any other loan program, you will pay interest on the remaining balance of the loan each month until the debt is repaid in full. These loans can be an excellent option for borrowers who require funding for a large expense that must be paid all at once. A home equity line of credit often referred to as a HELOC, involves borrowers opening a line of credit that utilizes the borrower’s home as collateral. Once the bank has determined a maximum loan limit, the homeowner can access these funds similar to the revolving credit of credit cards, although home equity lines of credit have lower fees and rates than standard credit cards. After the loan has been approved, you will receive either paper checks, a plastic card, or both. Through one or both of these, you can draw the line of credit that has been established. As a borrower withdraws money, your home equity line of credit will be reduced, and as you make payments on the loan principal, the amount of available money in the HELOC will be restored. Home equity loans differ from home equity lines of credit in several key ways and thus satisfy different borrower needs. In general, home equity lines of credit tend to be more flexible than home equity loans, as borrowers can acquire funds when necessary and choose to pay on just the interest or elect to make payments against the principal balance. These loans benefit borrowers who will need a large sum of money over an extended period for expenses such as college tuition or home remodeling projects. In contrast, home equity loans best benefit borrowers who need a large amount of money during a relatively short period, such as for a large-scale project or medical bills. For instance, suppose you obtain a $10,000 home equity line of credit. If you withdraw $3,000 to pay for a vacation cruise, you now owe $3,000 on a home equity loan and have $7,000 remaining on the home equity line of credit. Instead of borrowing more, you can pay back $2,000 of the principal, in which case you would have $9,000 available to borrow against your home equity line of credit. A home equity line of credit can be divided into two periods: the draw period, during which borrowers can withdraw money from the line of credit, and the repayment period, during which borrowers must repay the loan. For the duration of the draw period, the minimum monthly payment on the home equity line consists only of interest payments, and borrowers can choose to pay into the principal by paying more than the minimum. During the repayment period, borrowers will no longer be able to access funds through the line of credit, and the monthly payment will require both the repayment of the loan plus interest. However, if you secure the same $10,000 as a home equity loan, you would receive the entire $10,000 in a lump sum, which you will be required to pay back as a fixed monthly amount comprised party of interest and principal. Depending on the terms of the loan, your monthly payments can vary slightly if the interest rate is adjustable, though, for the most part, these amounts will be fairly consistent from month to month.